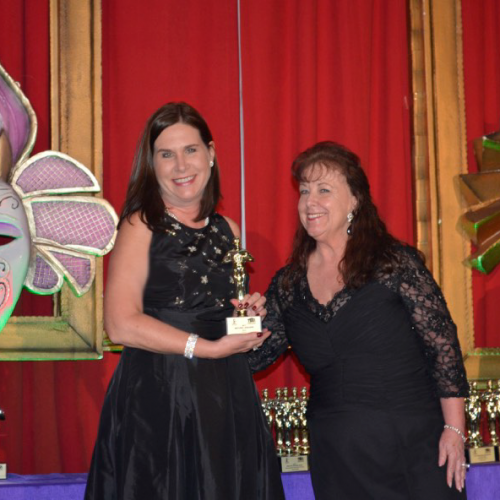 (Tampa, Florida) On Wednesday, November 15, 2017 the Tampa Bay Builders Association held a Masquerade Ball to present their Sales and Marketing Awards of Excellence. Hundreds of sales professionals attended the sold-out event held at the beautifully restored Floridan Palace Hotel built in 1926 in downtown Tampa. 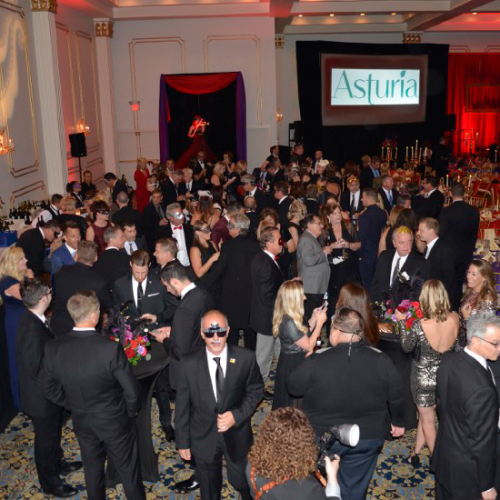 Asturia, a Hines Community, won Best Logo for a Developer and Best Online Digital Ad for a Developer among the thousands of entries. Attendees wore black-tie formal evening wear and festive masquerade masks. A strolling musician playing a glowing violin as she walked around the grand ballroom. Tables were elaborately decorated with candelabras, feathers and flowers. Food and drink were delicious. Weekley Homes and ICI Homes are available. The recently released Phase 2, offers homesites nestled beside a nature preserve. Asturia’s unmatched amenity package including eco-friendly parks, a trail network, and a state-of-the-art fitness and community center with resort style-swimming pool. An intimately scaled community with the opportunity to knowyour neighbors. To learn more about Asturia visit: http://www.AsturiaFlorida.com.